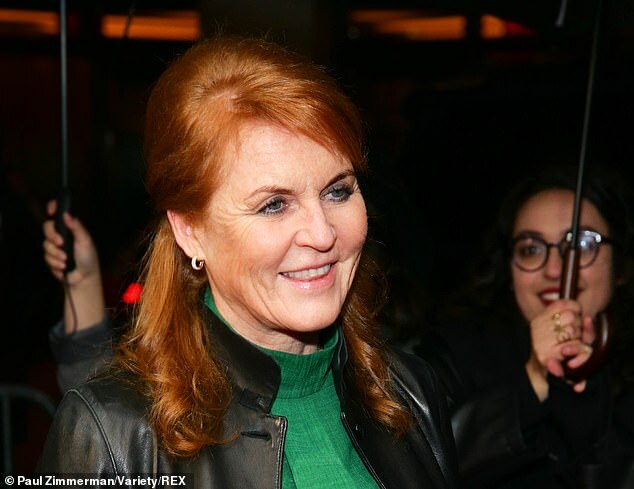 Sarah Ferguson, 59, was all-smiles as she hit the red carpet for the opening night of Ain’t Too Proud – The Life and Times of The Temptations’ Broadway Play in New York on Thursday. Not afraid to stand out from the crowds, the mother-of-two donned a vibrant emerald green shell top that she teamed with a black peplum hem skirt. Fergie put an edgy spin on the look by layering up with a leather jacket and swapping her typical heels for suede trainers. She completed the look by styling her trademark auburn locks in a half up style. 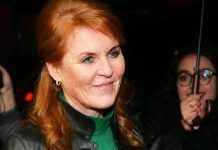 Fergie’s trip to New York comes after she flew out to Sierra Leone last month for charity work. The royal visited a village where she was greeted by school children as she joined them in the classroom. 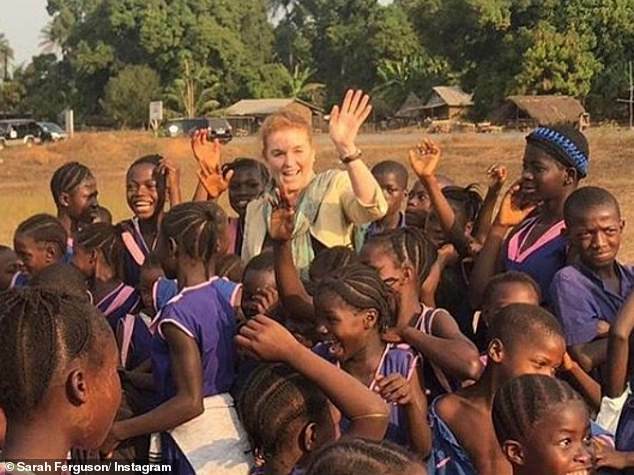 Posting pictures of her visit to her Instagram account, which boasts 169,000 followers, Fergie wrote: ‘Such a privilege to be welcomed so warmly by children at this school in Port Loko, Sierra Leone, which has been helped by my charity. 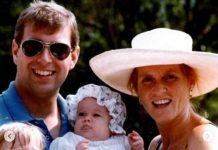 Sarah is the proud mother of Princesses Beatrice and Eugenie of York and split from Andrew in 1996. 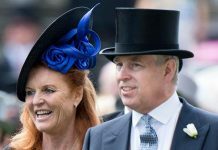 She and the Duke of York still share a home at the Royal Lodge in Windsor and have remained close, with Fergie previously remarking that ‘we’re divorced to each other, not from each other’. 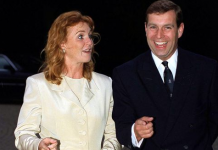 She told the Daily Mail in November that while they have no intention to remarry, they are ‘the happiest divorced couple in the world’. Sarah added: ‘We are completely compatible. Our bywords are communication, compromise and compassion. ‘July 23, 1986 was the happiest day of my life. Andrew is the best man I know. What he does for Britain is incredible; no one knows how hard he works for his country.